The best car stereo system isn’t always the loudest. It’s the stereo that suits your needs and offers the highest quality of sound in your vehicle. You probably won’t put up with poor-quality sound when watching a movie or listening to music at home. Why would you deal with lousy sound on your daily commute? 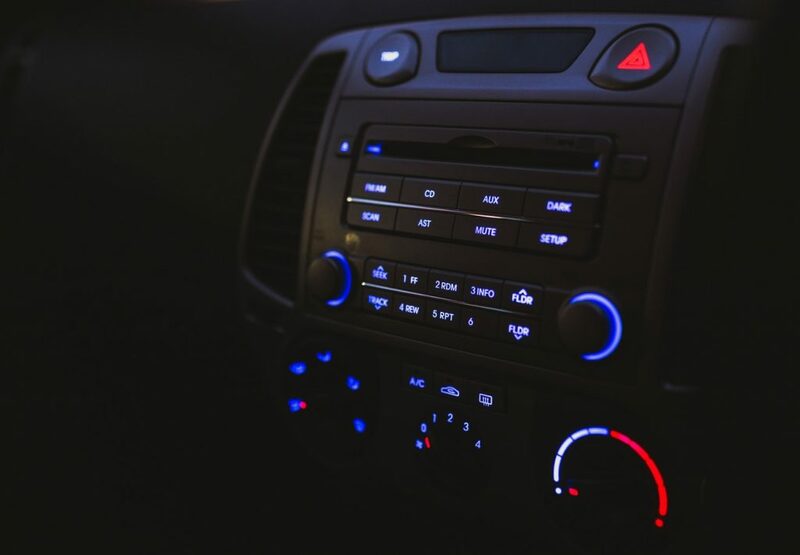 If you want to enhance your music-listening experience in your car, consider how you can improve your existing car stereo and where the best starting point is. With these tips and a bit of help from car stereo experts, you can have a clear sound that is truly enjoyable while on the road. What Are Your Sound Goals? Listen to your current stereo while parked and think about how it makes you feel. Adjust the fade, balance, tone, and volume controls. Do you really get into the music, or is it dull and flat? What do you love about it? What do you hate about it? If there’s anything missing, or anything you think could be improved, take note. What additional features do you feel like you’re missing out on? There’s plenty out there to help get you excited about the prospect of building the perfect car stereo system. Take another listen while going for a short drive. Do you have trouble hearing the music over the sound of the car, or you notice any buzzing or rattling? While parked again, listen, make a list of the components you have, and rate them from 1 to 10. These ratings will help you decide which components need replacement first. You’re better off replacing the lowest-rated components first to really improve your car stereo system. Once you’ve determined what matters most to you, and what components are the priorities, you can make a plan that meets your needs and preferences. If you’re basing your plan on your budget, you can update your audio system one component at a time until you have a completely custom car sound system. You’ll have to prioritize the components you wish to start with and plan ahead to make sure all the components work well together in the end. When shopping for new components, make sure they work for your vehicle’s make and model. Do your research online to find the best components for you vehicle. This will help narrow down your search and avoid wasting time looking at components that don’t actually fit. And if you plan to add an external subwoofer, make sure it fits in your trunk or back seat without taking up too much space—unless space isn’t a priority over sound. While it’s worth it to invest in high-quality components for your car stereo system, you should set a budget so you don’t risk going overboard with your spending. Without a budget in mind, you could end up with a really nice but really expensive sound system. The costs of speakers here, a head unit there, and every component you want will add up in no time. Watch your bank account and stick to a budget if you need to. And following a budget doesn’t mean you have to settle with a low-quality sound system. You can still buy high-quality components, just one at a time. Based on your priorities, make a plan for the order of your component installations. Speakers are one of the best components to start with when upgrading a car sound system. Even if you leave the factory stereo in, for now, installing new premium speakers will make a noticeable improvement in the stereo’s sound quality. When choosing speakers, look for high-quality speakers that are compatible with your factory stereo or new head unit, the amp, and your car. Do your research online and speak with Ottawa car audio experts to find the best speakers for your vehicle. The vehicle’s mounting location will determine whether you need full range (coaxial) speakers, 6×9, or 6.5 speakers. Full range speakers are ideal for the rear while component tweeters and crossovers make for excellent sound when installed up front. If you love turning your music up loud, or you can’t seem to turn it up loud enough, a new amplifier will let you do just that without distortion. Your new amp should be compatible with your stereo, so if your stereo doesn’t have preamp outputs, consider installing an amp with speaker-level inputs instead of line-level inputs. Opt for an external multiple-channel amp (e.g. five-channel) if you want to add and power new components. For example, four channels of a five-channel amp will power the four front and rear speakers, while one channel will power an external subwoofer. Or, you can opt for a separate mono channel amp for the subwoofer and a four-channel amp for the speakers. If your car stereo system is lacking bass, a subwoofer is key for your car stereo upgrade. When adding amplifiers, you can also add a subwoofer for a richer bass sound. Or, you can add a powered subwoofer with speaker-level inputs. A powered subwoofer combines an amp and a subwoofer in one unit for easy installation. Make sure to use the right sub box for your sub so you don’t compromise its sound. If you want to ditch your factory stereo and build a completely custom sound system, you may want to start with replacing the head unit first, or second (after the speakers). Your new head unit must be able to power your new speakers. Or, you can opt for a head unit with preamp outputs and an amp that can fully power your speakers. If you want to improve the sound from all of your speakers, consider a digital sound processor. This will get rid of frequency response peaks—boomy bass and shrill higher frequencies—while increasing bass. Most car stereos have treble, midrange, and bass controls, but these are only useful for fixing the overall sound, not problem areas. With an equalizer, you can adjust the frequency response to get rid of those annoying peaks in your sound system. Once you’ve found the best car components in Ottawa to add to your car stereo system, it’s time for installation. To ensure your components are installed properly and without risking the integrity of your vehicle, consider a professional installation by car stereo experts. They can help you build the best car stereo for you and your vehicle so you can enjoy endless hours on the road listening to your favourite tunes with high-quality sound.